Looking for a campus job in a great environment? Think you would make a great addition to our team? Knowledge of and experience with position(s) of interest is preferred. Able to consistently meet duty expectations and enforce facility rules. Belief in the benefits of regular exercise shown by active participation, appearance and attitude. Willing to work some weekends, early and/or late shifts. Able to work with little or no supervision. Ability to provide excellent customer service. 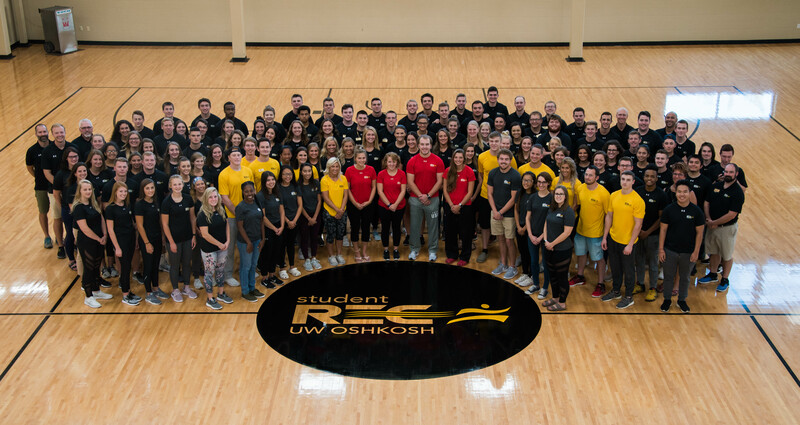 The hallmark and core value to the Department of Student Recreation has long been Customer Service. We believe every student matters, and providing amazing customer service, from a clean and safe facility, to positive and welcoming interactions with our staff and programs, is at the foundation of our success. We recognize that students come from all sorts of different backgrounds and experiences, beliefs and lifestyles and that several folks on our campus are under-represented. Serving these populations at times can be difficult, as our majority on campus often cannot understand the biases, the stereotyping, the hurt, that several students have been subjected to. We want the Student Recreation and Wellness Center to be a safe place, where all are welcome. No matter their background, their identity, their race, color, ability, beliefs….. We believe all students matter and should have a recreation facility and programs that they can feel at home in. To that end, our department offers a financial incentive to our student employees. By attending two (2) approved events, trainings, speakers, etc. on campus in an academic year, that revolve around topics of inclusive excellence, student staff are able to attain a wage increase – an increase that can build on itself each year. The outcome for our department is more sensitive, open and empathetic staff that are more able to provide the welcoming environment for all backgrounds that we aim to achieve. Complete the IE Attendance Report form for each of the trainings/events you’ve attended. If you are on staff with us for four years, and complete the IE Raise Incentive each year, by the end of your time on our staff, you’ll be making an additional .70 cents per hour.